Always travel with fishing gear: Little cutts, little girl. 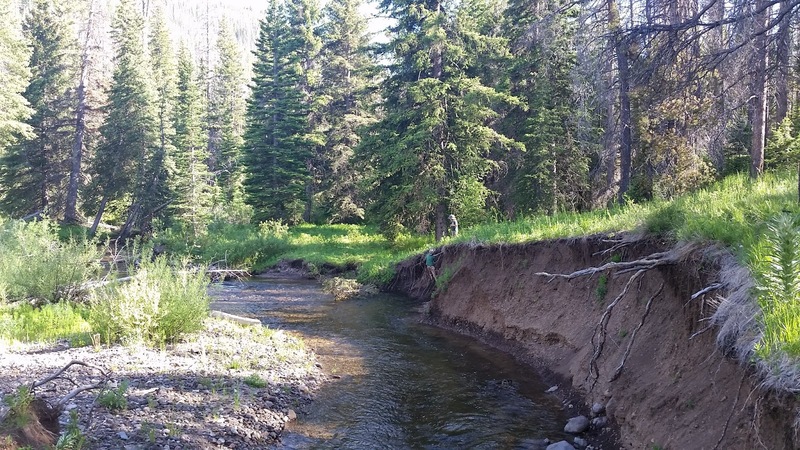 In Film Canisters and Cane Poles: a fly history I commented how I might like to break out the old Eagle Claw glass fly rod sometime this summer and introduce it to a few cutthroats. I got the opportunity this past weekend when my family and I took a short hike up a stream. Mostly it was just a day getaway. A picnic. A walk in the woods. I even took note of a few features for the upcoming elk season. But, like any outing that happens to pass near fertile trout water, a rod must also be involved. Two hikes ago we were also along a stream, and I employed the ole "film canister" technique. That is, I cut a long whippy stick for my kids to trade off flipping a fly into the stream with. 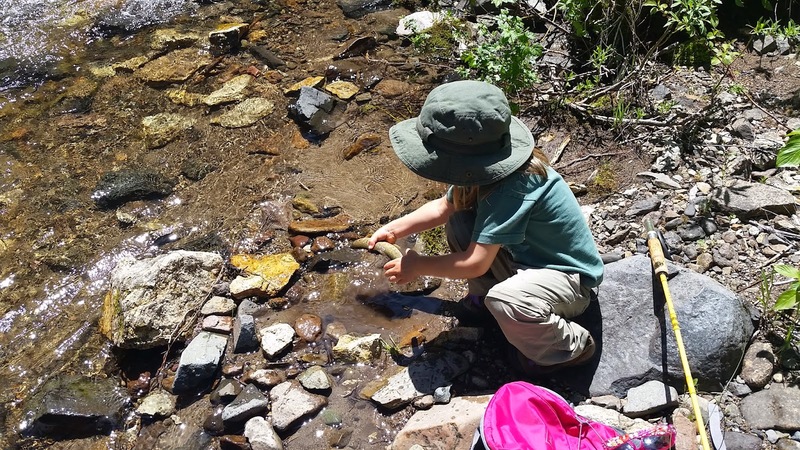 The results were less than stellar, mostly due to the young-ness and lack of intuition my kids possess so far when it comes to approaching water with the intent to catch something. So this time I packed actual fly rods, knowing there was potential to put in more time on the water. Even my wife carried her rod. In the end though, it was still mostly me who fished. 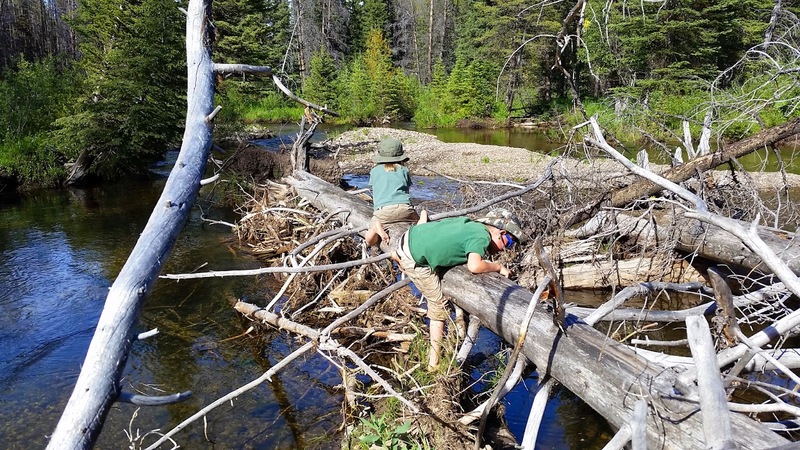 The kids climbed around log jams, scaled high cut banks calving away into the water, took unintentional swims, and fended off all sorts of imaginary dangers that threatened our very existence in the woods. 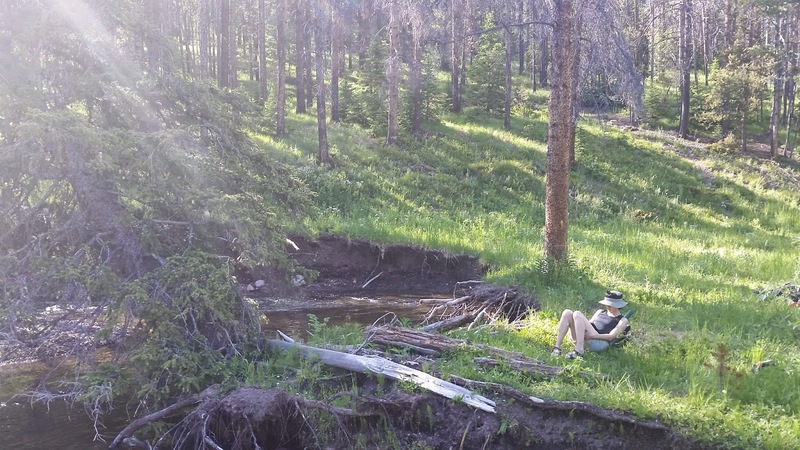 My wife, very unaware of the danger she was being spared from, read a book in a tranquil patch of sunlight along the spruce-lined stream. Her rod never got assembled. My daughter however, joined me on two prolonged stints of casting. The first one with the old Eagle Claw. Generally she takes instruction very well and usually puts it to use right away, no matter what the topic. Today she would have none of it. I still snuck a hand onto the rod occasionally and made the fly land a little better, and those were generally the drifts that hookups came from. She did, however, on her second round of casting later in the afternoon, catch one entirely on her own. She made somewhat of a circular cast, lifting the line as it passed by her and rolling it back up in front. And on that roll she picked up her first-ever unassisted fly-caught trout when the fly came to rest upstream again. 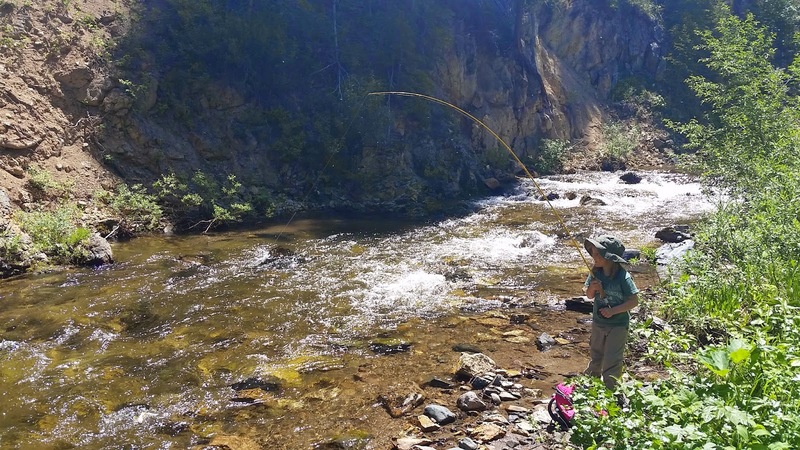 The fly line was not in her hands and as she lifted the rod the reel spun freely - the drag singing out like she'd just hooked a steelie fresh from the ocean. Made for some excitement. A minute later she dragged the nine-inch cutthroat onto the wet gravel in front of her and scooped it up for me to take the hook out of. She insisted on personally letting each and every fish go that she was around for. At least after she had come to terms that we weren't keeping any on this trip. The faithful yellow rod of my youth found new life in the hands of my daughter.